1 Bedroom Apartment To Rent in Shepperton for £1,025 per Calendar Month. A superb one bedroom second floor apartment set within a new apartment block with communal bicycle store. Located in the heart of Shepperton, it is perfectly located for public transport links. 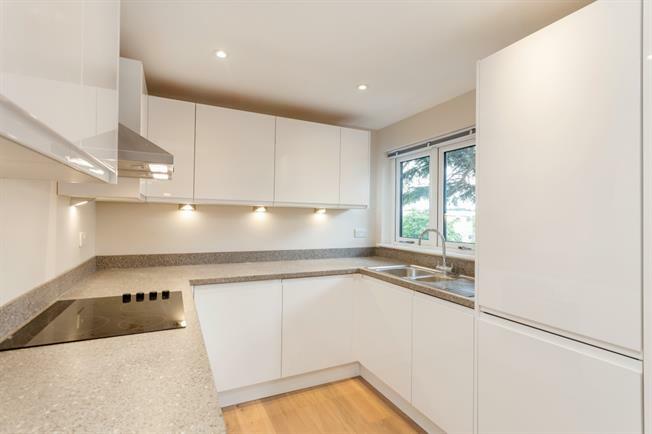 The property comprises; open plan living space including modern fitted kitchen with appliances, Double bedroom and modern bathroom with over bath shower. Shepperton is a popular Thames side village ideally situated to take advantage of the River walks and boating facilities. Locally there are opportunities for riding, cycling and walking the Thames Path. Shepperton Village, both old and new, offers a wonderful range of shops, restaurants and pubs. Transport is excellent, Shepperton station providing a suburban rail link to London Waterloo. The M3 Junction 2 gives access to Heathrow and other main roads via the M25.